Never mind the state regulations, the sky-high valuations and the fact that a character on a recent "Veep" mentioned catching an Uber. Maybe an indication that any concept has entered the fabric of mainstream American society is that you can get it insured. Uber Communications Director Eva Behrend didn't say that exactly, yesterday -- the first day that all transportation network company drivers in the state could purchase insurance for the commercial activities going on in their vehicles. But she hinted at broad acceptance of the ride-service model when she said, “We believe this is another way that people are recognizing that ride-sharing is part of California’s economy." The new insurance is offered by Farmers as a supplement -- called an endorsement -- to drivers' personal auto policies, and it will cost an additional 8 percent of their premium. A smaller insurer, MetroMile, already offers individual ride-service insurance, but it's exclusive to Uber drivers. That insurance costs a base rate plus a per-mile charge. 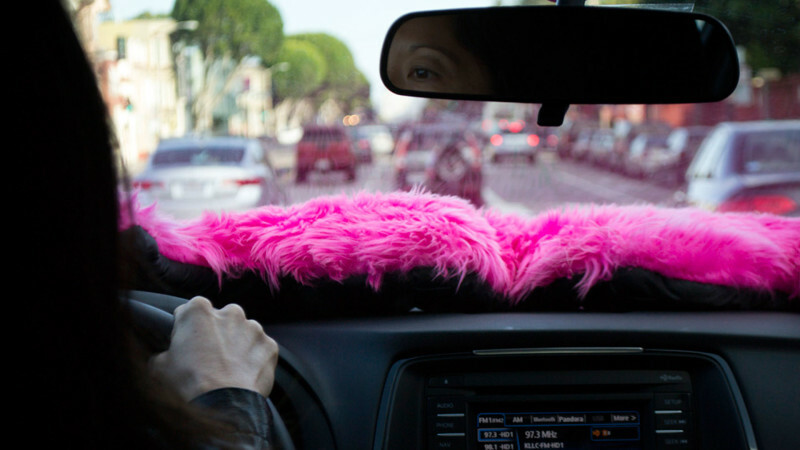 But now drivers for Lyft, Sidecar or any other TNC can buy insurance to cover what various stakeholders call Period 1. That's the interval of time that drivers have their app open and are available to be matched with a customer, but have yet to accept the fare. An insurance gap during this interval came to light after the death of 6-year-old Sofia Liu, who was hit by an UberX driver on New Year's Eve, 2013. Uber said its $1 million insurance policy, required by the state, did not cover the accident because the driver was not on his way to or transporting a passenger. Since then, California has enacted AB2293, which goes into effect July 1 and requires all ride-service companies to offer liability insurance for Period 1 of at least $50,000 per individual and $100,000 total per incident for bodily injury, and $30,000 for property damage. An additional $200,000 in excess coverage is also required. Behrend of Uber, by far the largest TNC (it claims 20,000 drivers in the Bay Area alone) says the company is on schedule to meet all those requirements. But drivers have been incurring all sorts of risks when they use their personal vehicles for TNC work. During Period 1, Uber and Lyft do not offer collision (coverage for when the policyholder is at fault), comprehensive (for fire, theft and other damage), underinsured motorist coverage or medical payments. (They also do not offer those coverages for the succeeding periods, unless drivers carry them on their personal policies). California Insurance Commissioner Dave Jones thinks that's a problem. "Liability coverage (offered by Lyft and Uber) doesn’t include coverage for repair of your vehicle, damage to your vehicle which may occur outside of an accident, for medical costs you might incur if you’re injured … nor does it include uninsured and underinsured coverage, where even if the other person is at fault and they don’t have insurance, then you'll have recourse to nothing. All those are not required by law." So, while earlier versions of regulations proposed by the California Public Utilities Commission did require TNCs to offer those additional coverages, the only option now for drivers who want the full boat of insurance is to buy it from an insurer. "We’re encouraging other insurers to file policies with us," Jones said. "We’d like to see more products offered." Farmers' head of innovation, Mariel Devesa, explained to me Thursday what you can and cannot do regarding its new ride-service product. If your personal auto insurance is with another company, you'll have to switch to Farmers. The product is not a stand-alone TNC policy, but a hybrid personal-commercial product. You can't mix and match coverage amounts for personal time in your car and your time doing TNC work. The policy add-on will be a straight extension of your existing personal policy with Farmers. So, for example, if you are covered for $30,000 in comprehensive and $30,000 in collision on your personal policy, you can't up those amounts for your TNC add-on, even if you think the risk is greater during that period. You can, however, increase the amount on your underlying personal policy, which will then carry over into your TNC work. Likewise, you can't carry one category of coverage on your personal policy and another on the ride-service endorsement, and vice versa. If you have collision and underinsured motorist, for example, on your personal policy, that's what you must carry for the TNC portion. Devesa said Farmers structured it this way so the policy's transition from personal to commercial insurance would be as seamless as possible. Coming out of the Insurance Shadows? One of the things we've heard over and over again from TNC drivers is that they have not informed their insurance company of what they do, for fear of losing their personal coverage. Although only a handful of reports have surfaced of this actually occurring, the word among drivers is that it's a definite risk. Mike Banko, who's been driving for Lyft since December 2012, is typical of that "don't ask, don't tell" attitude. "I've been with my insurance company for the past 16 years," he said. "I never have disclosed to them I do ride-share, but they also have never asked." Banko said he'd feel less exposed if he could be proactively honest with his insurance company, and he said he intended to get a quote from Farmers, which he's not insured with, as soon as possible. I also asked John Han, a longtime San Francisco cab driver, if he'd now consider making the switch to a TNC, because he'd gone partially down that road a couple of years ago, abandoning the attempt because he couldn't get coverage whenever he told an insurer he intended to use his vehicle for ride-service work. Han said no dice, not in 2015. "That was the case in late 2013, early 2014. I couldn’t get insurance and that was the deal breaker. But since then, Uber and Lyft have gotten into their price war. So if I'd made the switch back then, I could be expected to make the same amount of money per ride, approximately (as from driving a taxi). But now they’ve made their prices so low, that even with this new insurance product, there’s more to consider. I think nowadays some cab drivers may be making more than the average TNC driver, and that was not the case before." Is that true? Well, Mike Banko, for one, says he now makes about half of what he used to as a Lyft driver.